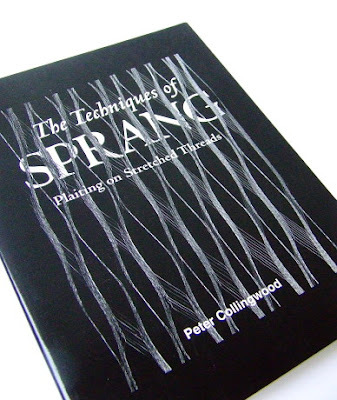 The last book was purchased by my friend Kate but I'm also going to have a good look through it, it's "The Techniques of Sprang" by Peter Collingwood, which will be useful for our medieval reconstructions. I decided to kill my Christmas ghost with some spiritual art activities, and I found some inspiration on Celestine Musings blog. Okay, so all our art journals are spiritual, because they come from the bottom of our hearts and souls, but this one is special for me because I want to concentrate on the questions quoted from the Celtic Devotional by Caitlin Matthews. - What am I endeavoring to manifest now in my life? - How can I change my thought patterns, to empower my goals? - What old connections can I release now, for my highest good? - What wisdom is seeking to reveal itself to me at this time? - What new idea has seeded itself this winter, and how can I best nurture it to fruition, as the earth nurtures her seeds? - What are the imprisoning fears that I feel ready to release? - What part of me will awaken as the rebirth of Spring arrives? - How can I best focus on my blessings this season? - How can I turn negatives into positives? - How can I make the best use of this lifetime? For this I prepared a hand bound journal from the handmade paper I had in my stash, which I bound in a not-so-Coptic way. Why, you may ask. Well, everything went exactly to the instructions I found on YouTube, but when I reached the back cover I found out that this part wasn't included in the video, so I did it my way intuitively. It worked! *^v^* I then finished the covers with some decorations (will be working on them more). I'm going to work in this journal from around the Yule time over to some time in January probably, whenever it's finished. I got also inspired for this by the works of Cat Sidh and especially her journals. Sounds like you got some interesting books! 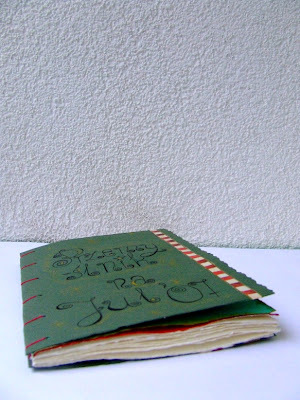 Tha's so cool that you made your own journal-looks good! Happy Yuletide miracle. What fun books. 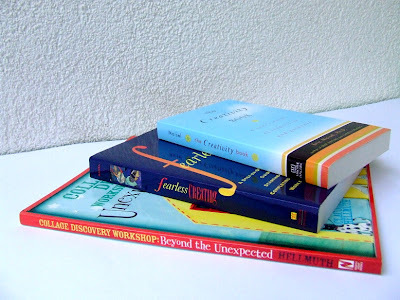 The creativity book looks really good and well all of them do. Yes let us know which ones you really like! I'm sending snowy thoughts your way. We just got another 7 or 8 inches overnight (it's still snowing) and I really think someone else ought to have some too. Love the watercolors from a few posts back! Don't you love it when books arrive earlier than expected? I trust you'll enjoy these a lot. And what a lovely surprise to read your post and then see your mention of my blog. Thank you. And Happy Winter Solstice! wishing you a joyous holiday season, and a happy new year! Kochana! Prosto z Miszelkowego Schowka wraz z zapachem pierniczków i świerczyny przesyłam Ci najlepsze życzenia! Niech wena Cię nie opuszcza ani na moment, inspiracje tłumnie Cię nawiedzają a czasu na realizację pomysłów nigdy nie braknie! Cudownych, rodzinnych Świąt!